What’s the Difference Between a Wedding and a Sales Meeting? I recently officiated my friend’s wedding, Diane was a first time bride at 58, and I married her. Officiating a wedding is quite a departure from my normal day job. Flash forward, 14 months later, there we are. The two beaming lovebirds standing in front of 150 of their friends while I officiate their wedding vows. Planning the wedding got me thinking about the power of ritual. Initially, Diane didn’t want a traditional wedding (which would explain why she would ask an author to officiate). Yet whenever she dreamed about her wedding, her dreams were rooted in the time-honored rituals we all know. When I said, “Dearly beloved we are gathered here today” every person in the room tunes in. Every movie, sitcom and actual wedding we’ve been part of, has cemented in our minds, these words signal the start. Rituals matter. They call us into the moment. They ground us. Rituals can take many forms. A restaurant line-up before the guests come in, the Monday morning huddle in a manufacturing plant, lighting candles for a family dinner. These rituals tell people, be here, be present. I attend a lot of big sales conferences. The best ones are ripe with rituals. They start with celebration. They give out meaningful awards. One team I work with picks a special song for each person going on stage. The songs are part of the ritual. People expect it; they look forward to it all year. As we work more remotely, with heads down in our own devices, the bleed between work time and off time grows. Without rituals to ground us, life becomes a blur, days feel chaotic and our spirits have no place to land. The best organizations counter this with ritual. When the Ritz Carlton does their daily line up, they include a quote of the day, and review one of their values or service skills. Each manager does this, all around the world. One of our manufacturing clients does a 5-minute standing huddle every Monday morning; they end it with clapping and high fives. The ritual helps the team feel like a team. It reminds them, this is why we’re here, this is how we behave. Rituals help you shake off whatever happened before and be fully present for the moment you’re in. When our kids were younger, we lit candles, and rang a Buddhist singing bowl to start dinner each night. It says, one part of your day is ending; the moment you’re about to enter is what matters now, pay attention. 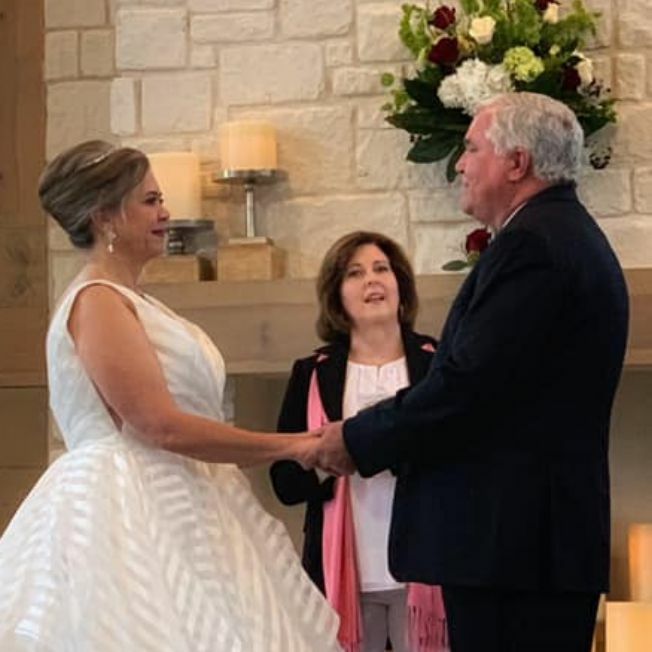 I confess, at the end of Diane’s wedding, when I said, “I now pronounce you husband and wife,” I was overwhelmed with emotion. That ritual connects the bride and groom to every other bride and groom who has ever stood before their community and pledging their hearts to each other. If you want to make your sales meeting or your marriage more meaningful, make sure you honor the rituals. Lisa McLeod is the global expert in Noble Purpose. She is a keynote speaker and consultant who help leaders increase competitive differentiation and emotional engagement. She is the author of the bestsellers Selling with Noble Purpose and Leading with Noble Purpose. Her clients include Google, Flight Centre and Roche.